It’s winter time and we’re here today in the river Teviot. The river Teviot is one of the main tributaries of the River Tweed and today we’re fishing for Grayling and over the last few years the Teviot has got a bit of a name for itself for the size of the Grayling it produces. and they’ve come all the way from Sweden. Normally they’re fishing for Grayling in the summer time on the surface. 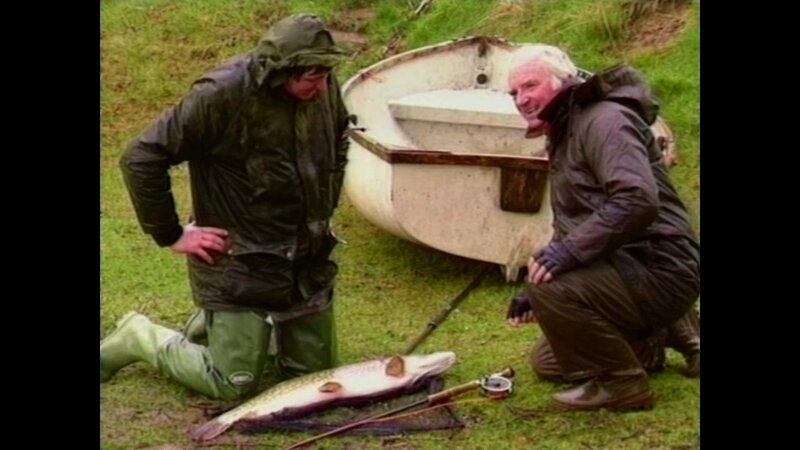 Today we’re fishing Scotland in the winter and the fishing is not like that at all. Will be fishing Czech nymphing which is a method when we use heavy weighted flies to get down to the bottom very quickly. At this time of year the fish are hard on the bottom and if you’re a foot above the bottom you’re too high. What of the aspects of Czech nymphing is very short line. 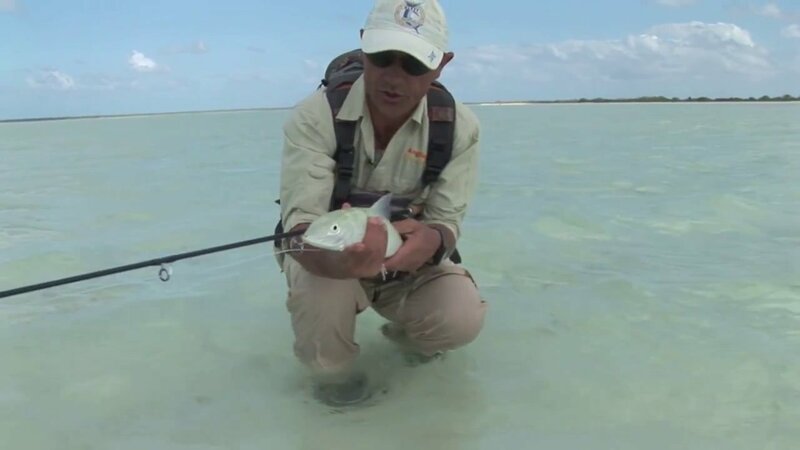 Your fishing water that allows you to get very close to the fish and fishing at short range. Everything’s kept very tight and as a result your feel the bites very quickly the pickup rate is very high. almost as an extension to the fly line which allows you to cast a bit further and hold the line off the water so we’re not getting any artificial drag, but we’ll still keep in touch with flies.The Grayling in the Teviot probably average between about a pound or two but there are fish that are much bigger than that. 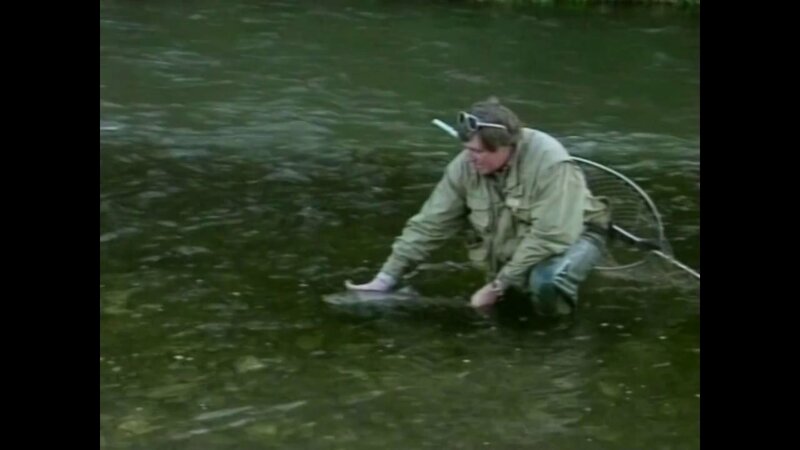 There’s been fish over three pounds caught and the occasional rumour here and there of the four pound Grayling caught in the river. Almost all the anglers practice catch and release. It’s just the culture to put the Grayling back once you catch them and more and more anglers are using barbless hooks too and keeping the harm done to the fish to a minimum. This particular beat of the Teviot is one that I know very well and that I’ve fished quite a few times it’s been an absolute pleasure over the last couple of days showing Stefan and Emilie the water and the fish that are in it.